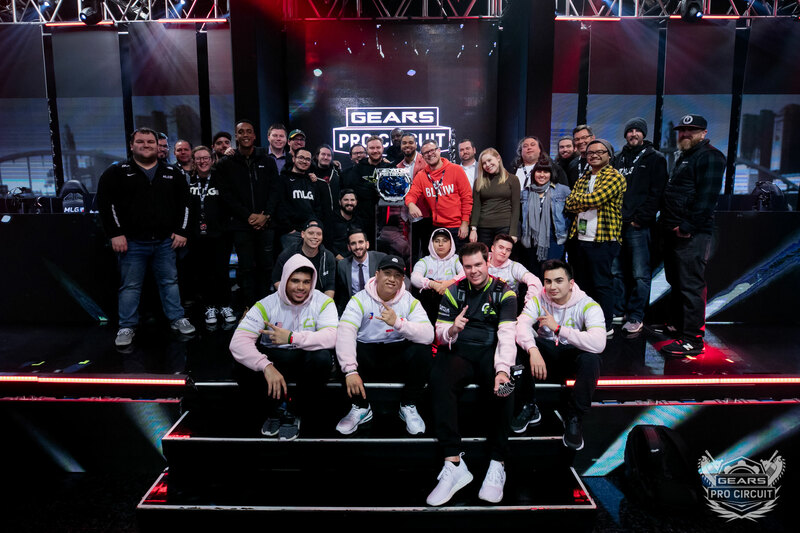 The Gears Pro Circuit Columbus Charity Invitational saw 12 of the top teams in Gears Esports make their way to MLG Studio in Columbus, Ohio to compete for a $200,000 prize pool split equally with a charity of their choice. 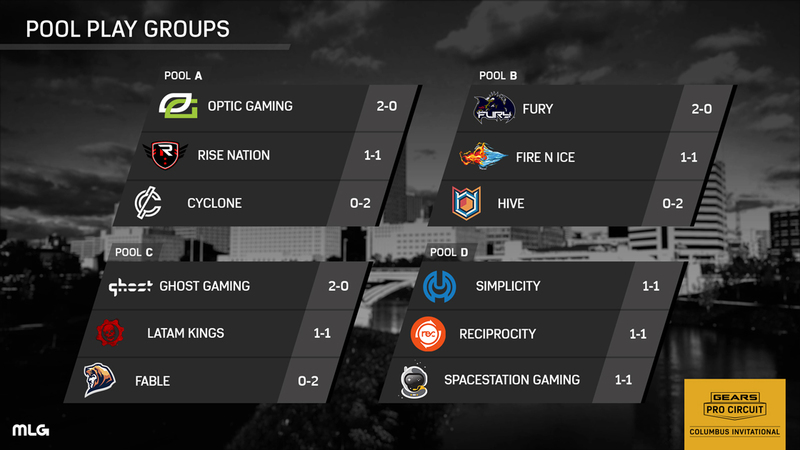 Although 12 teams started off in Pool Play, only 8 would remain to qualify for the single elimination Championship Bracket, and; while plenty of favorites were still around come Sunday, both top European team ‘Spacestation Gaming’ and rising stars ‘Hive’ failed to make the cut. 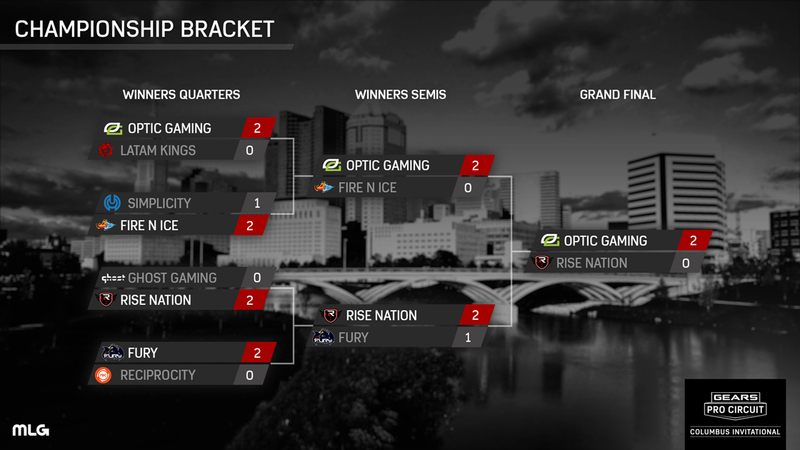 The upsets continued in what was one of the most exciting Championship Sundays to date, with the single elimination format making every match do-or-die. 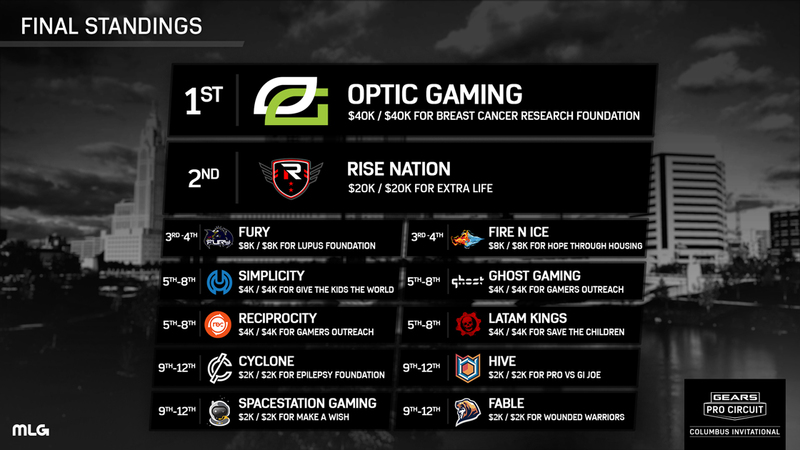 While the tournament may have ended in a somewhat predictable fashion, with OpTic Gaming taking home their fifth championship of the season, many wouldn’t have expected to see them play Rise in the Grand Finals – especially with Rise having to go through the likes of the other top 3 teams (Ghost Gaming and Fury) to get there.